If you were to look on a map, you could be excused for missing Malawi completely. Bordered by Tanzania, Zambia, and Mozambique in South East Africa, the nation of Malawi is shaped like a lightning bolt, with much of its land area covered by a massive lake. 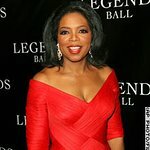 But it a country that is in dire need of help, and a host of celebrities turned out to a dazzling evening of fun on Wednesday, February 6, to raise awareness for what is one of the poorest countries in the world. The gala event was hosted by Madonna on the lawns of the United Nations Headquarters in New York, with the $3.7 million raised going to UNICEF and her own Raising Malawi organization. A long list of stars, including Gwyneth Paltrow, Demi Moore, Ashton Kutcher, Drew Barrymore, Jennifer Lopez, Tea Leoni, Lucy Liu, Billy Joel, Gwen Stefani, and Djimon Hounsou, attended the event, with tickets ranging from $2,500 to $10,000. The evening also featured performances by Alicia Keys, Timbaland, and Rihanna. Comedian Chris Rock hosted an auction during the evening, which featured some exciting items donated by celebrity guests. Priceless, once-in-a-lifetime opportunities were up for grabs, such as a dance class with Madonna and Gwyneth Paltrow (which sold for $600,000), and a trip to Château Latour – including lunch with Salma Hayek – which was sold to Donald Trump for $120,000. Tom Cruise, who attended the event with wife Katie Holmes, narrowly missed out on buying a sports package that included baseball practice with Yankee Alex Rodriguez and soccer practice with David Beckham. Saving Malawi was co-founded by Madonna in 2006, after she witnessed the plight of the country firsthand. And it is a plight she hopes to make more people aware of. Recent UNICEF figures state that almost 1 million people in Malawi (whose total population is 13 million) suffer from HIV/AIDS, including 83,000 children. 267 people are infected with the virus every day, and half of the country’s 1 million orphans have lost their parents to the disease. It is a country where 48% of children are severely malnourished, and many are subjected to the horrors of exploitation. The infant and maternal mortality rates are among the highest in the world, and 133 children out of 1000 die before they reach the age of five. They suffer from lack of food, shelter, clothing, education, clean water and sanitation, as well as basic medical services, and the average life expectancy is only 37 years. Raising Malawi hopes to ease the suffering of the children of Malawi by providing smart solutions to the most challenging problems. Instead of just throwing money at the nightmare, they provide grassroots initiatives in the way of healthcare, education, and agriculture at a community level. To do this, they have partnered with some of the best organizations that work in the country, including the Millennium Promise Alliance, the Network of Organizations for Vulnerable and Orphan Children, and Spirituality for Kids. One of Raising Malawi’s greatest initiatives is the Orphan Care Center recently built in the village of Mphandula. Designed to serve 4000 children, it provides a safe haven for orphans, and supplies nutritious meals, basic education, and crucial life skills. Along with programs to introduce solar power, clean water systems, and self-sustenance, Madonna hopes the Orphan Care Center will help Malawi overcome its problems. 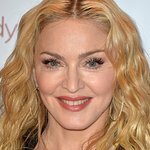 “I’ve earned a reputation for many things,” said Madonna during Wednesday’s gala evening. "For pushing the envelope, for being a provocateur, for never taking no for an answer, for endlessly reinventing myself, for being a cult member, a kidnapper, for being ambitious, outrageous, and irreverent. And for never settling for second best. I don’t just want you to write me a check. I’m more interested in your heart. I want to take you on that journey with me tonight. I want you to feel as inspired as I do right now.